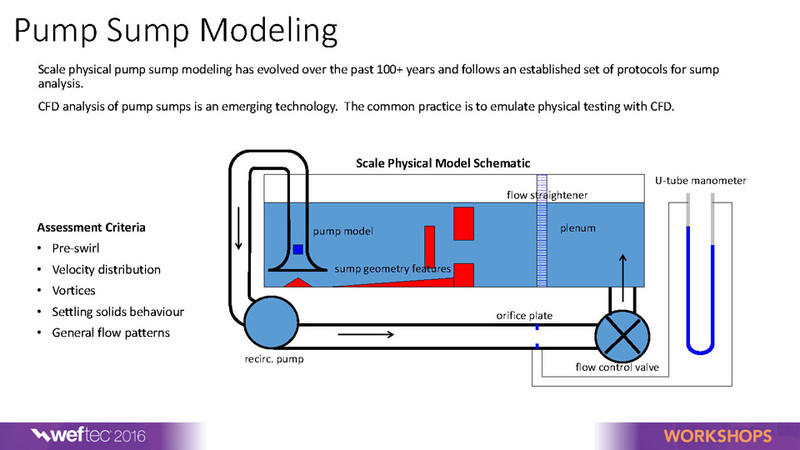 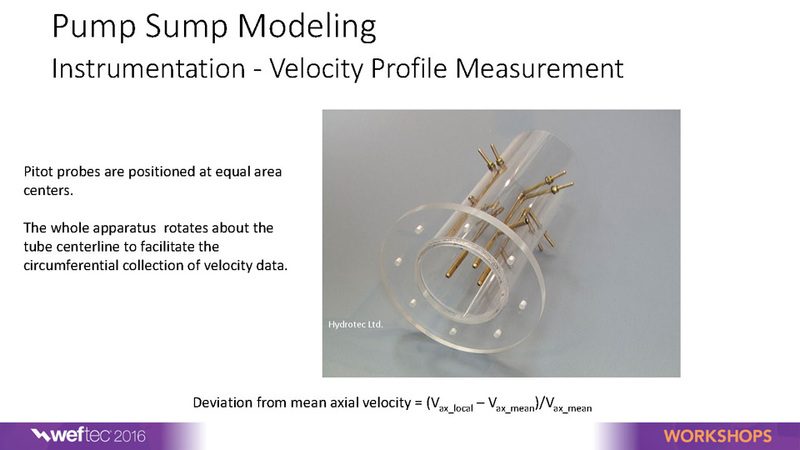 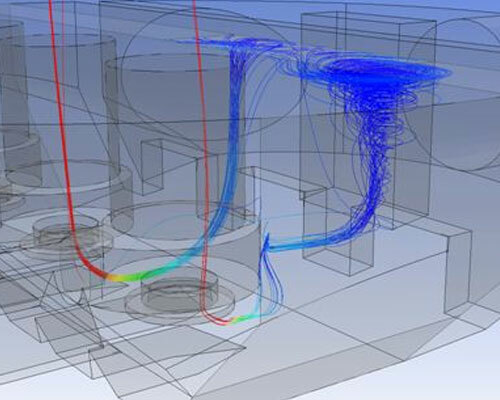 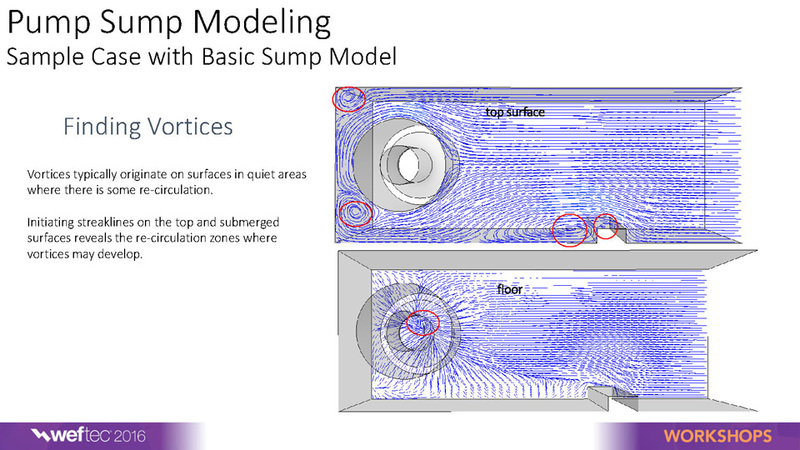 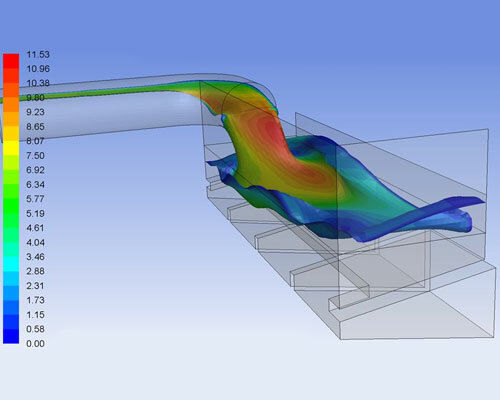 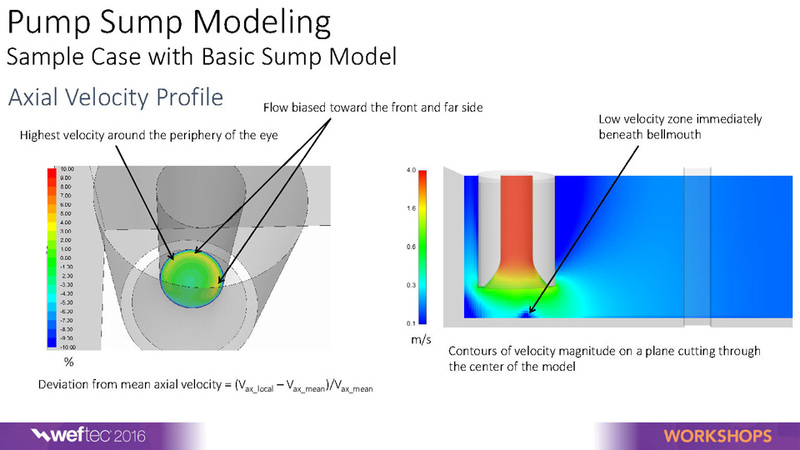 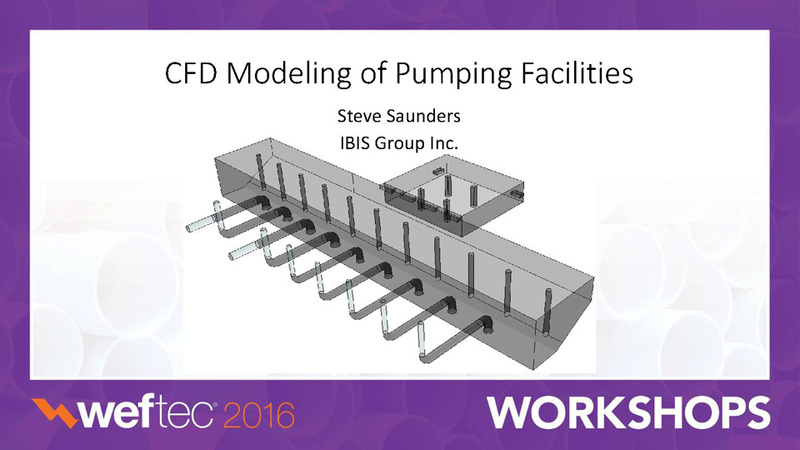 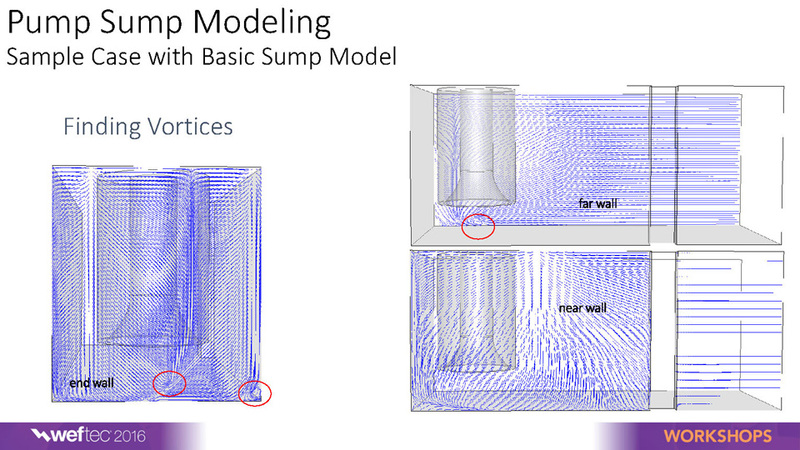 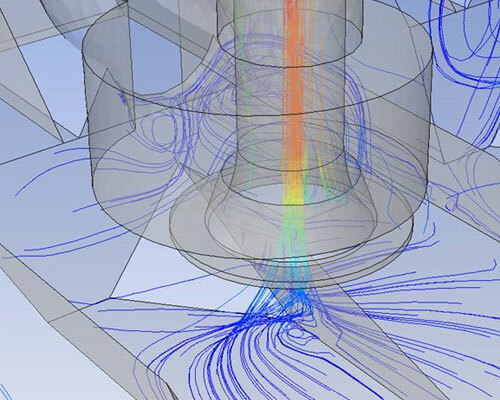 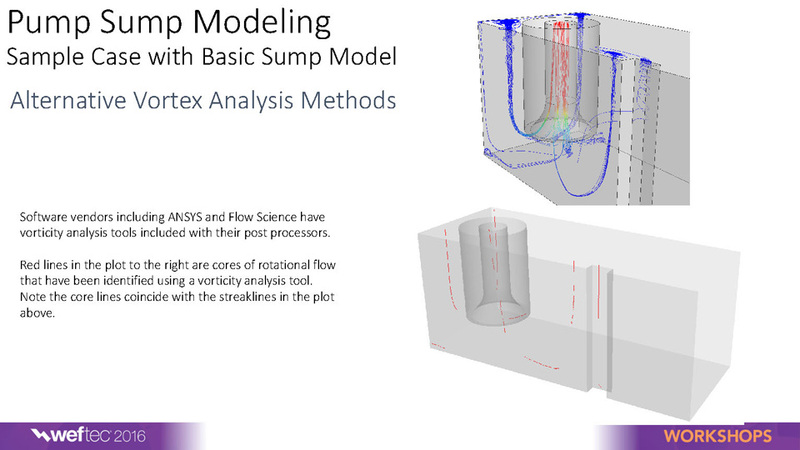 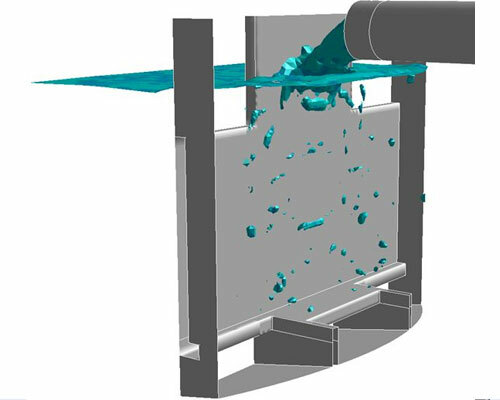 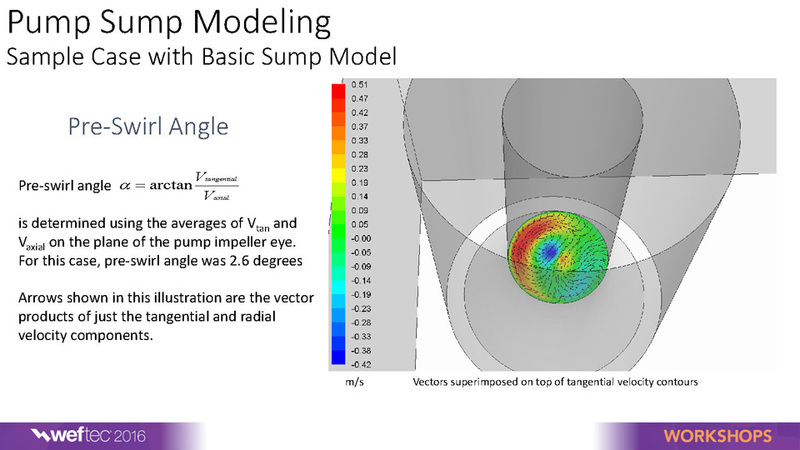 Basic pump station models are steady state providing time averaged results and have a “rigid lid” or “inviscid wall” representing the water surface. 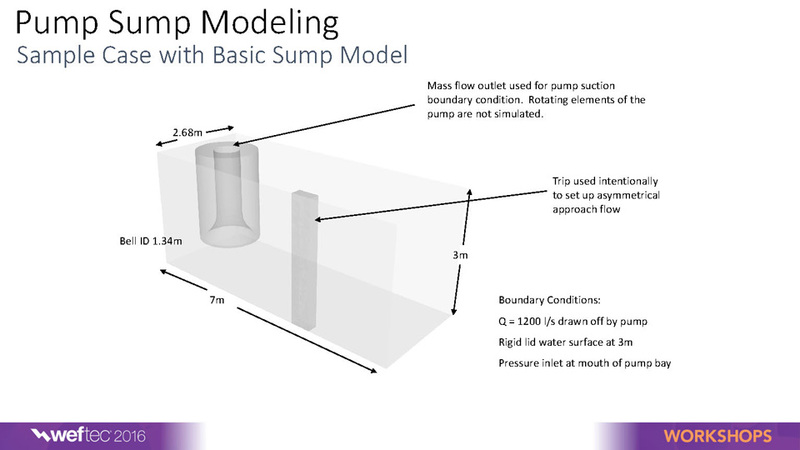 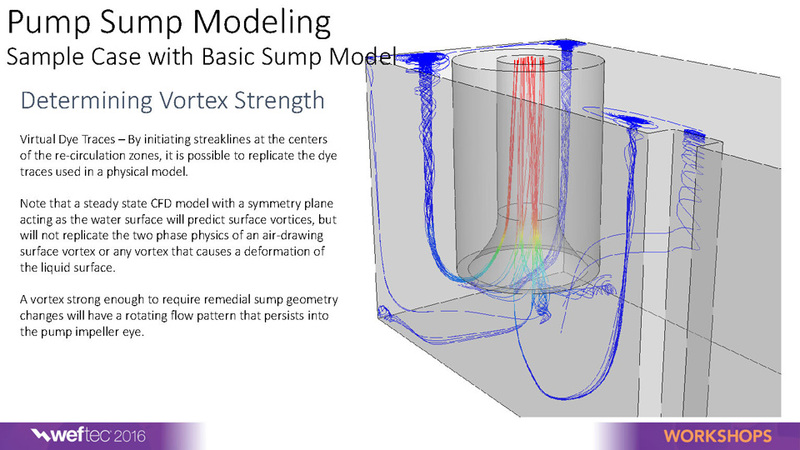 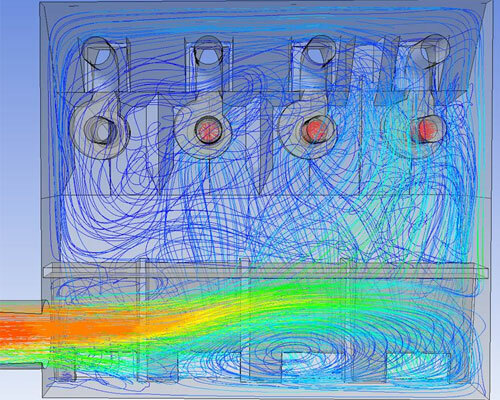 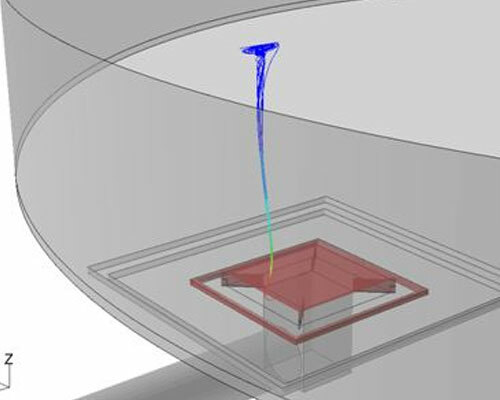 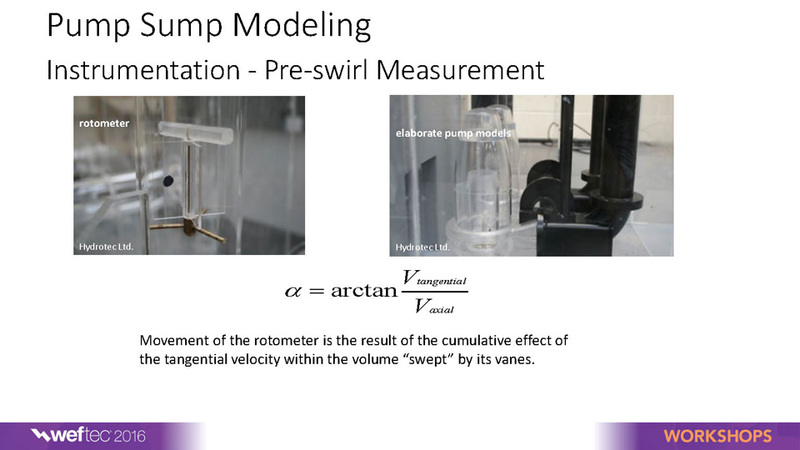 More advanced models may be time dependent and have a free moving air/water interface at the water surface. 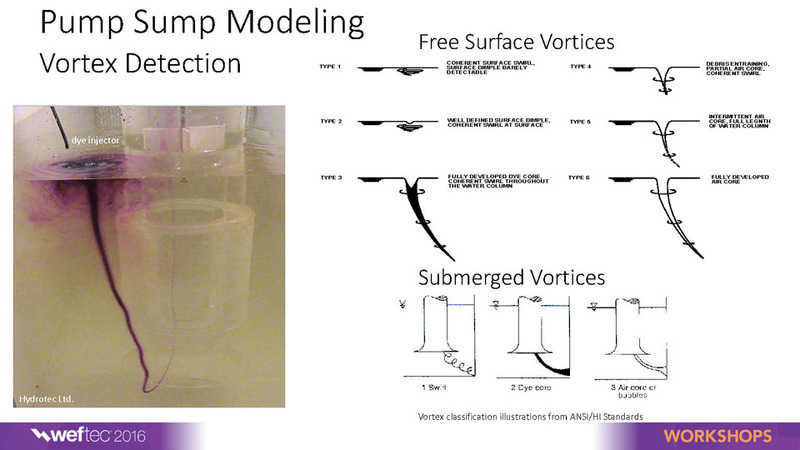 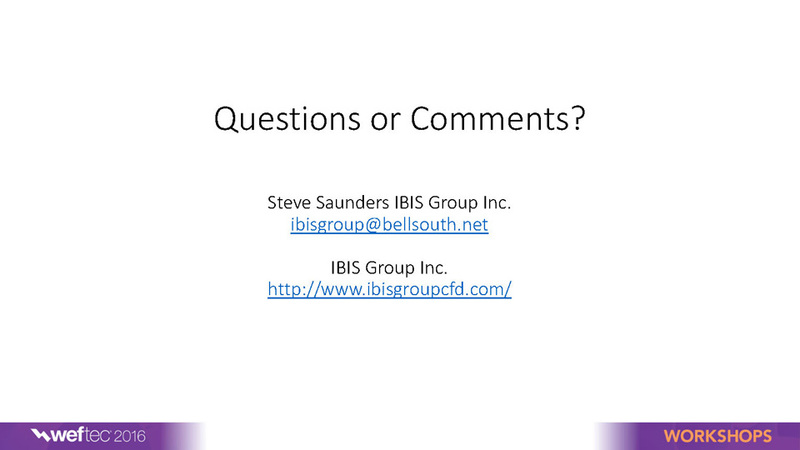 It is also possible to document and mitigate regions of potential sediment buildup.